Aveda is a pioneer in the revolution of environmental responsibility in beauty as it not only powers the entire company with 100% wind energy, but also funds projects, schools and technologies to advance the wind industry. Aveda already powers its manufacturing facility in Minnesota, its primary headquarters, its institute in Minneapolis, and the Aveda-owned experience centers, salons and institutes in New York City with 100% wind energy. With already such an ambitious commitment to renewable energy, Aveda still says it have quite a ways until it reaches total carbon neutrality, which is why it has a goal to help fuel the expansion of renewable energy and to improve the lives of the next generations by extending its sustainability efforts. Aveda is a large supporter of wind energy because it does not produce any air emissions nor does it require water for production. Aveda invests in the wind industry by purchasing WindSource from Xcel Energy, which is generated from 21 wind farms in Minnesota and helps increase the amount of wind energy available on the grid. Aveda also invests in Native Energy’s Help Build projects, which provide funding for long-term development of new renewable energy sources including wind energy that may not be available otherwise. Specifically, Aveda’s purchase with Native Energy has helped the construction of two new wind turbines on family farms in Iowa. It was also one of the first supporters of Greensburg Wind Farm in Greensburg, Kansas after the town was destroyed by a tornado and helped build the Indiana School Wind project, which implemented a curriculum to teach students about wind technology. On top of this, Aveda also purchases CO2 offsets, which mainly goes towards funding future wind energy projects, but also supports the transportation and use of aerosols. 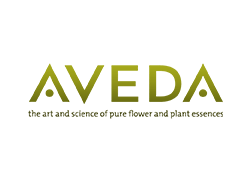 Aveda is able to manufacture their makeup in Canada, as well as manufacture, transport and use its aerosol products through the purchase of wind power and greenhouse gas emission offsets, which covers approximately 94% of all Aveda products. Aveda is a strong supporter of wind energy because of its competitiveness, energy efficiency and business sensibility. To reach full carbon neutrality, Aveda will continue to take more advanced sustainable steps to further reduce their greenhouse gas impacts.